Prezentare The sixth in a series of 7 workbooks. 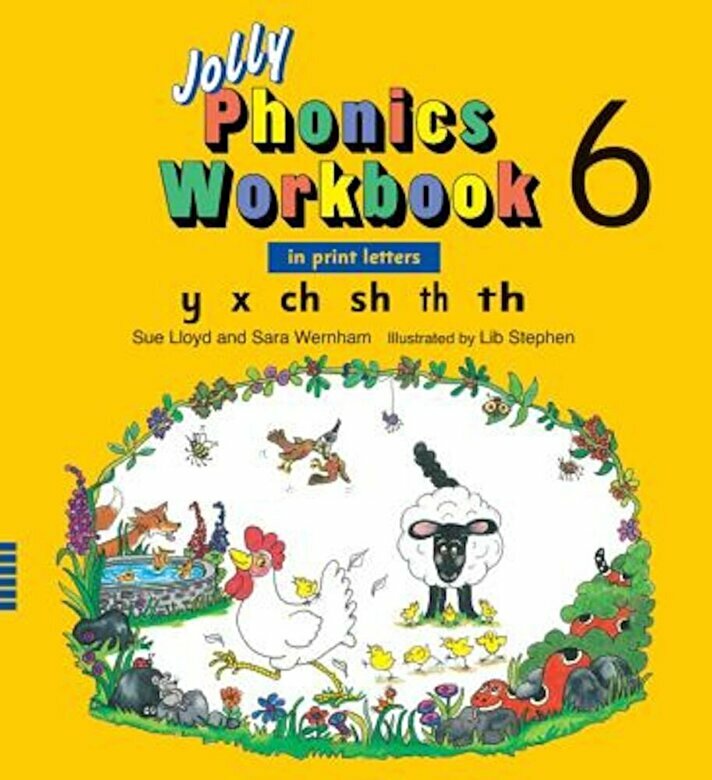 The 24 page workbook deals with one group of letter sounds y, x, ch, sh, th, th. Produs publicat in 1995 de Jolly Learning Ltd.